My sweetie’s dad has a cane he doesn’t use much. He should, but it’s a pain, and he tends to forget it places. So she thought that maybe she’d get him a cane hanger for Christmas, but all the ones on Amazon were plastic. Since he used to make furniture in this wood shop and gave me his old bandsaw, which I just recently got running again, I offered to make a hanger for his cane. The idea seems simple enough. 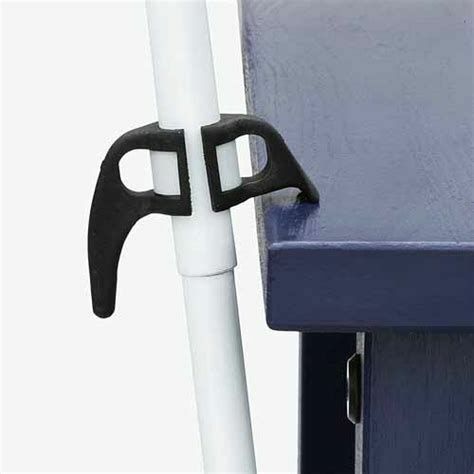 Some sort of bit you can clamp around the shaft of the cane, and then another piece which can be hooked over the back of a chair, or set on the edge of a table, and the cane will hang there until you’re ready to go, rather than getting leaned in a corner where you’ll forget it. I grabbed a piece of cherry from my stash. Cut a chunk long enough to clamp around the cane and drilled a 7/8” hole in it, then sawed it into two pieces. Put in the brass inserts so I could use the thumbscrews I have on hand. That plus a rubber band around the cane will hold the hanger securely. Then I dovetailed in another piece of wood (picture 2) and started carving away everything I didn’t need, first with the bandsaw, and then with a spokeshave. After fairing all the lines, I hit it with a coat of boiled linseed oil. Then I scraped the end of the vertical piece clean and contact cemented some shelf-liner on to provide a non-skid end to rest on a table or whatever. He seemed genuinely pleased to receive it. Let’s hope it helps him keep track of his cane. A very unique and useful idea. That makes it into a +3A job. That is a nice thoughtful gift, which I’m sure he’ll like since he is also a woodworker at heart. Wait, didn’t you say “for Christmas”?, and “He seemed genuinely pleased to receive it.”? Anyway, nice gift. Merry Christmas to you and your family. Tom, we had our Christmas early this year. Two years ago, freezing rain cancelled Christmas, and last year we spent Christmas Day in the E.R. so this year, we mixed it up a little. Interesting set up Dave. I bet he was pleased to see this. Nice thinking. Very neat, unique and practical project, congratulations on a job well done. Brilliant, simple idea. I hope I can remember it when it comes time to need a cane. Really unique gift Dave…first ever dovetailed cane holder? Mos, yeah, I’m killing electrons in the shop now. He gave me a 14” Rockwell bandsaw, and then yesterday gave me a belt / disc sander. Both are going to be pretty handy for sizing knife scales and then cleaning them up after stabilizing them. Tomorrow I’ve got a couple extra gallons of cactus juice arriving plus a few dyes. Anyway, got the bandsaw set up with a 2/3 tpi 1/2” resaw blade from Timberwolf, and I plan to use it mostly for stock prep. I’ve hand-resawed stock since having the bandsaw running, but sometimes I’m in a hurry and the noisy machine is quicker than I am. Tom, yes it was. The dovetail was kinda gratuitous, but he really appreciated that. He made all sorts of furniture over the years, but his only dovetails were machine / jig cut, so when he saw the big dovetail, he smiled and said that he never would’ve been able to do that. Well Dave you have certainly done a very good job of it, no doubt about it. I understand what its called and what its function is but have no idea how it works. Does it stay on the cane all the time? Oh and one other question if I may …why did you spend christmas (2017) in E.R.? Couldnt find any goss in your blogs or forum topics to satisfy my curiousity so I just had to ask. Yeah, Rob. It stays on the cane all the time. Else it would get lost separately from the lost cane. It works by having non-skid shelf liner on the end of it, which will keep it from sliding off a table. The cane presses against the edge of the table. Or the hanger can go over the back of a chair. Here’s the image of one of the plastic ones that I took my inspiration from. My sweetie’s dad was having health problems last year, so we spent Christmas in the E.R. with him. He’s doing better. Nicely done Dave! I like how you eschewed the plastic and rolled your own, so much more personal. Thanks! There already plenty of plastic around. Dave, its me me the sticky beak, ... back again. OK now I understand, as I also thought it would be yet another piece of kit to get lost as well, hence the confusion. Glad to hear the FIL is improving and the visit was not the result of some sort of w/s event. No worries, Rob. We talked about making it removable. The thumb screws are enough trouble to loosen that it can be removed, but he’s unlikely to do so.